Though it's no heavyweight piece of film-making, Grudge Match, about two old boxing rivals returning to the ring to settle the score, is a hilarious, occasionally heartfelt ode to aging, legacy (of the familial and sporting varieties) and not taking oneself too seriously. As the story goes, nearly 40 years ago, famed pugilists Billy 'The Kid' McDonnen (Robert DeNiro) and Henry 'Razor' Sharp (Sylvester Stallone) ended their infamous last clash in a draw, a result that never satisfied the win-by-any-means McDonnen, who's been foaming at the mouth for a rematch ever since. Sharp, on the other hand, couldn't care less, leaving boxing to work at a mining factory. So while McDonnen went on to establish a lucrative car dealership, Sharp settled for a modest bachelor pad, swimming in past-due bills. Enter Dante Slate Jr (Kevin Hart), a sly second-generation boxing promoter who approaches the two Pittsburgh legends with a handsomely paying deal to give their still-loyal fans one last hurrah. For me, the film's core appeal lies in watching DeNiro and Stallone, two of Hollywood's most respected elder statesmen, prepare for and promote the epic showdown (dubbed Grudgement Day): slugging it at the gym, warbling the Star-Spangled Banner at a motocross event, and getting into heated brawls in the run-up to fight night. In the end, the veteran actors imbue their characters with immense believability. A sub-plot revolves around the affairs both men had with a groupie named Sally, portrayed here in middle age by Kim Basinger, with characteristic soft-spoken delicacy. Alan Arkin (Little Miss Sunshine), meanwhile, is all bark and bite as Razor's cranky longtime trainer, aptly nicknamed Lightning. The movie also features appearances by LL Cool J as a showy personal trainer and Jon Bernthal as McDonnen's long-lost son BJ. GENTLE GIANT: "His charisma and delivery made up for any shortcomings." HIS STORY: A legend of Jamaican music gets his literary due. 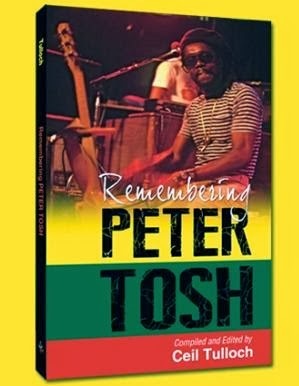 Complex figures tend to make for engrossing literary fare, and no Jamaican icon (musical or otherwise) has gone down in history as more complex and controversial than Grammy-winning legend Peter Tosh, whose eventful life and legacy is the subject of roots-reggae devotee Ceil Tulloch's retrospective, Remembering Peter Tosh (Ian Randle Publishers). At under 140 pages, it's a slim volume (with too simple a title, I should add) but, in addition to rare and vibrant photographs, it packs a series of compelling remembrances of a man and his mystique on and off the stage; a reggae superstar who clearly had his vices but who many felt was simply a complicated, misunderstood genius. 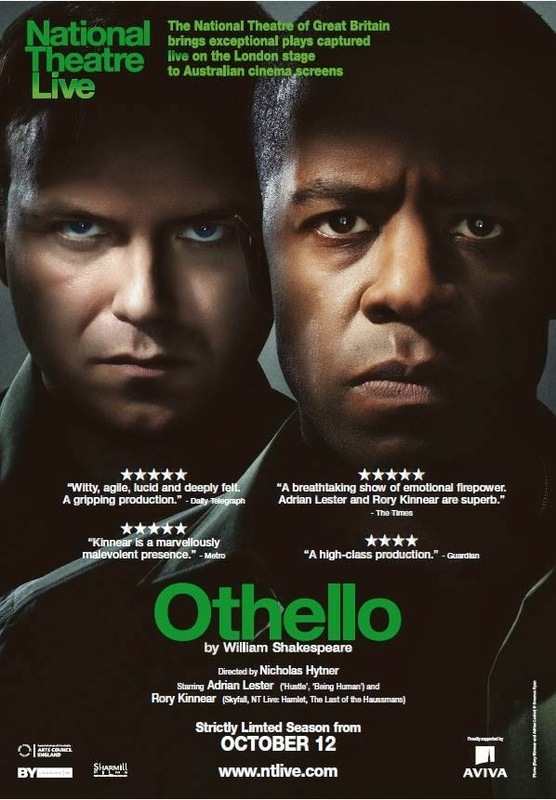 Tulloch did an excellent job in pulling together an estimable cast of contributors, most of whom worked closely with Tosh in one capacity or another. But I feel readers will be particularly interested in Dr. Omar Davies' articulate account of the Tosh he admired and, by his own admission, speculated about. "My wife and I both admired Tosh because of his music, as well as the fact that he was such an exciting performer. One wouldn't know what to expect. He would ride his unicycle on stage, wear unique outfits etc," Davies writes, before emphasizing that he found Tosh's liberal use of expletives to be quite off-putting. "I suspected that Tosh saw it as his duty to take on the society, and he objected to the notion that a set of meaningless words, ordained by the colonial establishment as 'bad' should continue to be judged to be unlawful." It is this kind of radical and rebellious streak that largely informed the fond recollections of people like photographer Chuck Krall. "My favourite images of Peter are the ones of him smoking herb, sometimes right in front of the audience, or rolling his spliff. 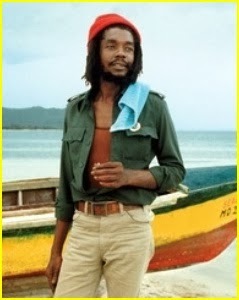 He made the biggest spliffs," Krall recalls. "I am fond of those pictures because they were so intimate and reminded me of special moments." His candour and staggering creativity aside, Tosh also emerges as a fun-loving individual and a man capable of enormous generosity. "What struck me most about him was his deadly serious demeanour in public," remembers noted historian Roger Steffens, "but privately, he was a warm and humourous person. You always laughed around him." Filmmaker and Montana State University professor Doug Wendt echoes similar memories. "Peter was very brave and talented. He was relentlessly determined to speak the truth, despite the repercussions," Wendt says. "Once I got to know Peter well, I discovered that beneath his often stern and militant demeanour, he was actually a very gentle giant." CUTTING EDGE: The new studio boasts the latest in ultra-mod recording equipment. Central Clarendon is quite fortunate to have a Member of Parliament as productive and clearly passionate about community service as Mike Henry, whose efforts in the constituency, after 35 years, continues to take laudable and fascinating turns. Particularly well-documented are his May Pen-based exploits in sports team management (the rejuvenated Humble Lion FC), academic sponsorship and the ongoing improvement of physical infrastructure in and around the town centre, giving the whole place a much-needed modern makeover. And modern is exactly what springs to mind when one considers the constituency's latest coup: the arrival of the Lion Ville Studio, a groundbreaking and state-of-the-art recording and production facility that's bound to further establish May Pen as the epicentre of the new and the next in rural Jamaica. Newly opened in Effortville (a couple of miles north of the town centre), Lion Ville comes fully equipped with the latest in cutting-edge technology and ultra-mod recording equipment and was conceived of to offer everything from vocal recording and mastering to professional courses in sound engineering, among other areas. "These services and resources are an important prerequisite for human resource development within the parish," reveals the veteran parliamentarian and publishing magnate in a recent Gleaner report. Lion Ville, completed at an undisclosed cost, will double as a community radio station and will go a long way in unearthing exciting singer-songwriters and instrumentalists, not only from May Pen and its enviromns but Central Jamaica by extension. "Lion Ville is an integral part of our community development objectives," Henry explains. "It will be a medium for the harnessing of musical talents and will compete in the recording industry." STRING THEORY: The Italian guitarist in performance recently inside the National Gallery. 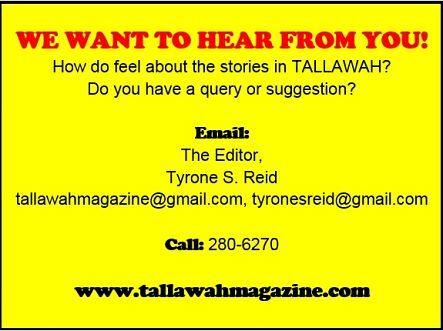 TALLAWAH: Releasing a new album (Dubwise, being launched soon) is a fantastic way to kick off the year. What's the vibe like on this disc? Vivian: It's a very Mediterranean style of guitar mixed with more Jamaican influences, especially dub music and Nyabinghi. And there's some jazz on it as well. You manage to juggle so many balls as an artist: recording, performing, teaching, touring. How do you maintain your rhythm? It's not easy but somehow I manage (Laughs). Recording and teaching inspire me with a lot of new ideas because I interact with young minds all the time. Whenever I have a break from school, I go into more recording, so that helps me with balancing everything. Your appearance this weekend at Jamaica Jazz & Blues is not your debut. I played there four years ago. So what's it like making a repeat appearance at the festival? It's gonna be interesting. The first time, I performed on the small stage, but this time I'll be on the main stage. And they're gonna be featuring Gabriella [Reno], who I have been working with on her album. Fascinating. What drew you to collaborating with her? I think she's extremely talented, especially at songwriting. And I think the album we're working on [As The Sea] is gonna be something new on the Jamaican scene. It's not something forced; it's a natural sound. FINELY TUNED: "What motivates me is my desire to see the world." If upon first witnessing a live performance by Gabriella Reno you recognize striking parallels between her style and that of Corinne Bailey Rae, you're not alone. The deafening buzz about the rising singer-songwriter these days is that, within a short span, she's quickly morphing into Jamaica's version of the charming British indie reine, who is well-known for such hits as "Put Your Records On," "Trouble Sleeping" and the Grammy-nominated "Like A Star." 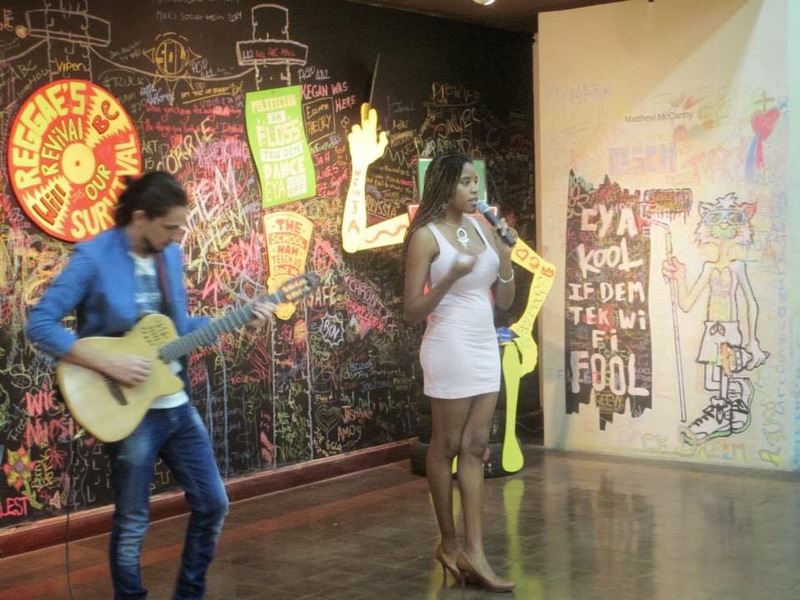 The 22-year-old Wolmer's Girls alumna, who describes her sound as a creamy blend of folk, indie reggae, soul music and Mediterranean guitar (courtesy of frequent collaborator, the Italian-Jamaican guitarist Samuele Vivian), will drop her debut album, As The Sea, in April of this year. It has the makings of an ambitious project that's bound to gain proper notice for her delicate vocals and songwriting prowess. "I don't have any problems when it comes to writing the songs," she tells TALLAWAH following a groovy, laid-back performance, opposite Vivian, at the National Gallery on Sunday afternoon that featured renditions of poetically crafted gems like "Our Generation", "Sugar Mama" and "Coming Home" -- all full of wise observations and bare-bones honesty. "The thing with most artists, me included, is that we are always striving to improve our craft. And that's what I'm focussing on." 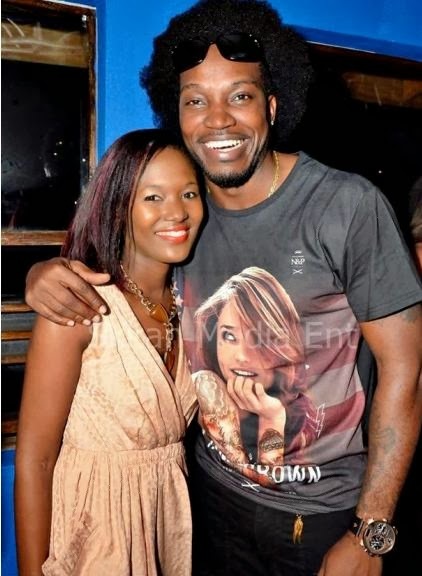 Banking valuable studio time aside, the willowy new artist has also managed to make time for other things like hitting the books at the Edna Manley College and joining Vivian for overseas performances across Miami, Spain and Italy. "What motivates me is my desire to see the world," says Gabriella, who originally hails from Bog Walk, St. Catherine, and has a taste for tunes by Jason Mraz and Bruno Mars, among other musical influences. "To meet people and to interact, and to make people feel warm and loved is what I look forward to the most." This month promises Gabriella's biggest audience yet, when she makes her main-stage debut (next to her partner in rhythm and rhyme) at the Jamaica Jazz & Blues Festival. "Extremely excited," she admits. "I think it's going to be such a learning experience for me, and I'm just looking forward to sharing with people what I have to offer." So what does the future hold for her? "I guess my biggest aspiration would be to win a Grammy." Spoken like a true go-getter. TALENTED PAIR: The gorgeous couple posed for photographers ahead of the show. 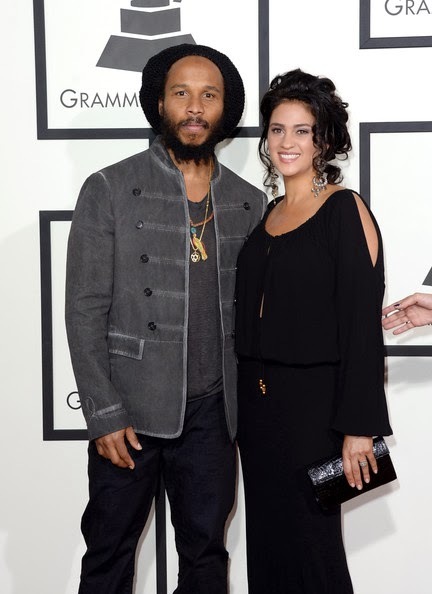 On Sunday, Ziggy Marley walked the red carpet at the Grammy Awards (hosted by the Staples Centre in Los Angeles) with his stunning wife, Orly, Agai, providing picture-perfect arm candy. But by the end of the evening, the 43-year-old reggae superstar was heading home with another shiny accessory: the award for Best Reggae Album, for his critically praised disc, Live in Concert (Tuff Gong Worldwide). The win represents Ziggy's fifth lien on a golden gramophone, music's highest honour, and reflects the Recording Academy's continued admiration of the Marley brand of craftmanship and lyrical potency. Never mind that he's no Grammy ingenue, Ziggy (Love Is My Religion, Wild and Free) confesses that this latest nomination caught him completely by surprise. "It was unexpected. I wasn't thinking about it. I was surprised," he told CBS News ahead of the pre-show telecast. He went on to disclose that the idea to drop a live album hit while on tour with his band. "I liked the way it sounded," he said of the finished product. "We put it out quietly and simply, and now we got a Grammy nomination, so that's good." BOY WONDER: Andrew Bailey leads a high-energy troupe in the latest JJT musical. 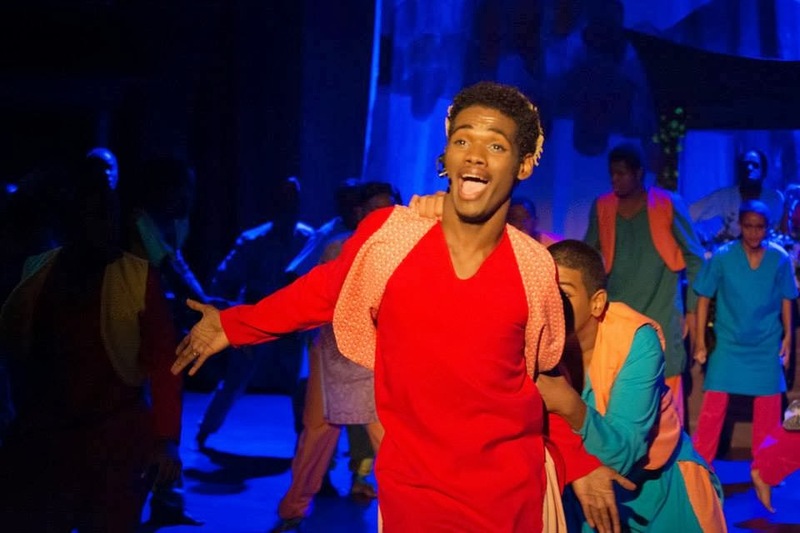 The Jamaica Junior Theatre Company's Aladdin is a flashy, fun adaptation of the Disney classic and Broadway smash that finds its energetic cast of teens and tweens rendering the Tim Rice/Elton John score with astonishing maturity and no shortage of élan. As you all know, Aladdin is one of the most popular love stories -- not just on celluloid -- but of all time, but in the hands of the resourceful JJT crew, it's given radiant charm and polish (in spite of the limitations of the Philip Sherlock Centre) and an emotional heft that belies the age of the show's young actors. Stage ingénues like charismatic leads Andrew Bailey (the titular loverboy and self-proclaimed street rat) and Justine Rookwood (level-headed Princess Jasmine) share a palpable chemistry that makes their performances quite intriguing. And because every epic romance has its villain, the talented Ricardo Barrett gets to channel his inner baddie as the menacing Shahrivar, a striking cross between The Lion King's Scar and The Princess and the Frog's Dr. Facilier. Meanwhile, the performers make light work of such standout musical numbers as "Friend Like Me," the popular "A Whole New World" and "Strongest Suit" (aka "I Am What I Wear"), which highlights Carolyn Chin-Yee's ravishingly colour-blocked costumes that authentically evoke a sense of Persian glamour and whimsy. As for the supersized chorus (over 40 members) and auxiliary cast, props to Andrew Grant, who pulled off a fantastic job as the big, blue, sassy Genie (peeved that he'd been summoned from his Jamaican vacation) and Ashley Thurlow as Razia Sultana, the maternal if a tad materialistic empress of Assam, the production's fabulous Oriental setting. YOU AND ME: Delpy and Hawke portray lovers at a crossroads in the sparkling film. 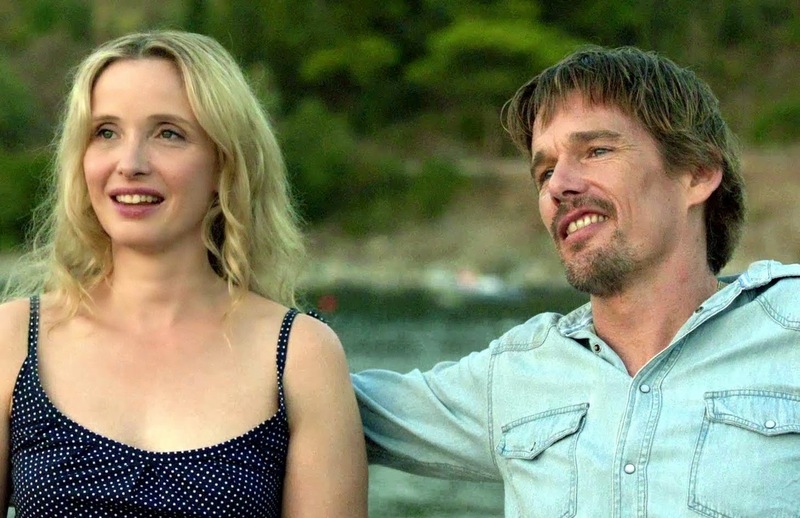 "If we're going to know one another, we have to know ourselves first," muses Ethan Hawke's Jesse in Before Midnight, the fresh, smart and endlessly amusing third film in the Richard Linklater-directed series, and the follow-up to Before Sunrise and Before Sunset. It's a line that perfectly sums up the mood of this beautifully written and evocatively filmed story, which came in for a delightful screening last Friday at the Liguanea Club's Movie Night in New Kingston. A Best Adapted Screenplay nominee at the upcoming Oscars, Before Midnight finds Jesse and Celine in their early 40s living together in Paris but paying a visit to the picturesque Southern Peloponnese on holiday. At the moment he is a bestselling author while she is eyeing an ambitious career move. They have two kids, and as the movie opens, Jesse is at the airport sending off his teenage son from his previous marriage back to Chicago. The parting obviously weighs on him, and in a series of pitch-perfect conversations, including a showdown in the hotel suite, Jesse and Celine banter and bicker about their roles as partners and parents. It's thrilling, heady stuff. FUTURE LEADERS: Close to 100 outstanding young Jamaicans are set to receive the Prime Minister's Youth Award for Excellence in the usual range of disciplines, spanning academics and entrepreneurship, sports and the performing arts. Customarily held around November/December to coincide with Youth Month, the 2014 edition (details forthcoming) will be staged in March, signalling the youth and culture ministry's continued mission to "Reset Di Ting." TOP JOB: There's a new sheriff in town. 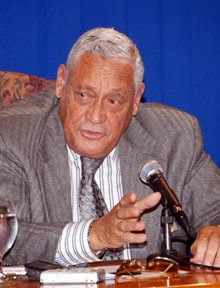 Legendary businessman R. Danny Williams has been appointed Chairman of the Jamaica Anti-Doping Commission (JADCO), Information minister Sandrea Falconer has announced. 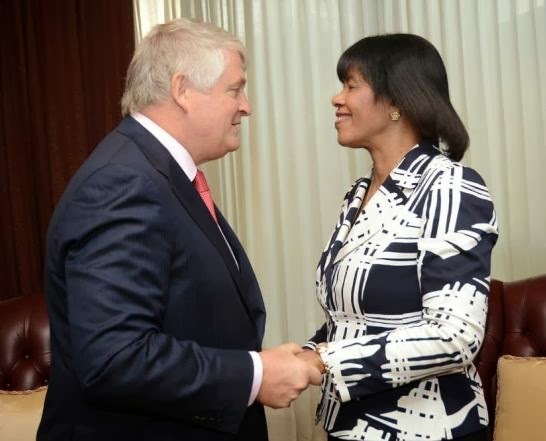 Williams, who was conferred with an honorary doctorate by the University of the West Indies (UWI) last November, will lead a newly assembled team to replace the old one that resigned en bloc last year. The new JADCO board is made up of Carmen Tipling, Dr. Patricia Holness, Anthony Lawrence, Dr. Thelma Nelson, Dennis Lalor, Neville Williams and Dr. Winston Isles. An additional pair of board members will be named in short order. CINEMA VERITE: As TALLAWAH previously reported, The Piano's Oscar-winning director Jane Campion will chair the Cannes Film Festival jury at this year's even slated for May 14-25 in France. Now word comes that the Nicole Kidman-starring vehicle Grace of Monaco is set to open the festival. The film, produced by the Weinstein Company, centred on the life of Grace Kelly (Kidman), costars Tim Roth, Paz Vega and Frank Langella. SUPER DONOR: The number is in. 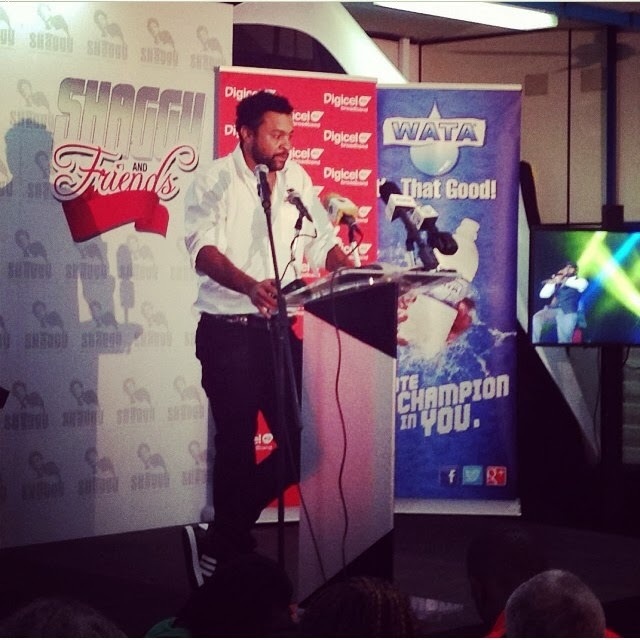 The Shaggy Make A Difference Foundation on Thursday presented a hefty cheque, J$70 million strong, to the Bustamante Hospital for Children, representing the proceeds from the Jan. 4 Shaggy & Friends megaconcert on the lawns of Jamaica House, which delivered rousing performances from Tessanne Chin, Ne-Yo and several other top-flight entertainers. Apart from media reps, Thursday's handing-over ceremony was attended by renowned businessman Kenny Benjamin; Lyttleton Shirley (Head of the South-East Regional Health Authority); the hospital's Dr. Lambert Innis (Head of Anaesthesia and Intensive Care), as well as several hospital staff. BUSINESS LEADER: "This award affirms our position as the region's leading full-service business solutions partner, and we are proud to be associated with trailblazers in technology," says Jason Corrigan, general manager of Digicel Business, the 2013 winner of the Avaya Partner of the Year Award, presented last Thursday during a ceremony in San Juan, Puerto Rico. "As a Gold partner, we are committed to continuing to provide the best-in-class ICT solutions for our customers to grow and optimise their business. The awards ceremony was held to recognise and reward Avaya's best partners and collaborators in 2013. > "Sustain The Legacy" is the theme driving this year's 285th anniversary celebrations of the Wolmer's family. Proud Wolmerians Michael Frater and Shelly-Ann Fraser-Pryce are the patrons of the grand celebrations, which were officially launched on Thursday, with a keynote address by Lascelles Chin. > Fraser-Pryce, no stranger to prestigious accolades, including last year's prestigious IAAF Female Athlete of the Year award, will soon be conferred with the Chancellor's Medal by her alma mater, The University of Technology (UTech), the college has announced. The medal will be presented when the International Association of University Presidents (IAUP) convenes its next conference, slated for Jan 30 to Feb 2, at the Hilton Rose Hall and Spa in Montego Bay, St. James.